Today's economy is undergoing a radical transformation that has not been seen since the Industrial Revolution. While there have been industrial upheavals in the past, what is occurring in the 21st century has been unprecedented. At no other time have so many jobs across numerous industries been disrupted simultaneously by so many different variables. Although economists argue that these changes are normal, there is an increasing sense that something is different this time around. Economists state that, as technology and economic innovation occurs, lost jobs will be replaced with newer positions of equal or greater value. Examples of such lost jobs in the past include an elevator operator, coal stoker or gas station attendant, all of which have been replaced with similar jobs. (1)	Long-Term Unemployed: Increasingly, there are a growing number of people who are becoming part of the long-term unemployed. These long term unemployed have been unable to find meaningful employment and will increasingly have long-term damaging repercussions to the global economy. When the long-term unemployed eventually do find jobs, they will be at a level significantly lower than their previous positions. In addition, there is the long-term psychological and economic impact. Numerous studies have indicated that the long-term unemployed become economically risk adverse thus driving down demand. (2)	Underemployment: Whether it is part-time workers who are actually looking for full-time employment, or "career students", many individuals are suffering from limited employment options that stunt both their income and career potential. (3)	The Contractor Reality: Increasingly, individuals have to deal with the reality that they are piecemeal contractors with no benefits or stability. These individuals are in effect "individual corporations" having to manage their own marketing, operations and other functions to ensure their personal survival. (4)	Globalization: Due to numerous international trade agreements and increasing logistics and transportation mobility, the global movement of goods and services is increasingly commonplace. Corporations are no longer tied to single nations to produce goods and services but can look at numerous locales to find the most optimal and cost efficient production facilities. (5)	Increasing Automation: Many corporations are finding that technology is not only a way to manage increasing volumes, but it is also a way to ensure process consistency. The challenge for corporations in the past was to ensure consistent product and service delivery with a heterogeneous work force. Now with automation, it is possible to ensure 100 per cent consistency in product and service delivery anywhere in the globe. While many economists continue to argue that these current economic changes are nothing more than a repetition of historically validated shifts, questions are growing as to whether today's trend is something profoundly different. Is the economic system entering a period where human capital is no longer required for the economic system to function? (1)	Self Repair & Self Diagnostics: As computer technology moves from its humble beginnings, computer scientists are increasingly developing programs and machines that can self diagnose and do basic self repair. 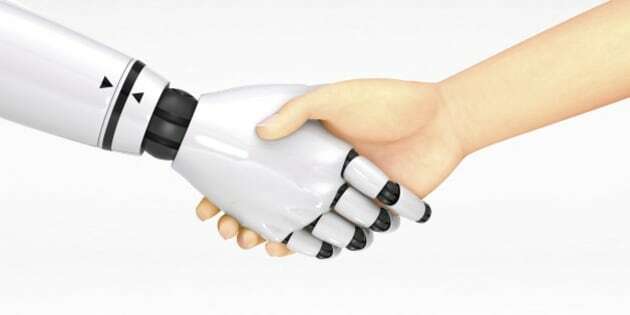 (2)	Artificial Intelligence: From IBM's Watson supercomputer to Apple's Siri, artificial intelligence is slowly becoming a basic tool for many with the increasing potential to replace basic human jobs such as executive assistant. (3)	Changing Economic Conditions: From" just in time manufacturing" to 24/7 global fulfillment, today's economic system is no longer hospitable for the nine to five employee. Today's employees are increasingly treated as mindless drones versus critical manpower. It is no wonder that corporations share this opinion as technology is at a stage where it can actively compete and beat human efficiency and effectiveness. In some respects, the crux of the issue is that today's economic system is failing to address how we manage the transition from a completely human based workforce to a fully automated one. The very foundation of today's economy has been to develop processes to effectively utilize humans to deliver consistent and cost effective products and services. However, with technology improving products and services, what to do with the growing human population urgently needs to be addressed. We have witnessed that putting pressure on humans to perform like machines with decreasing pay and inconsistent hours is leading to individual physical and mental degradation as well as increasing social unrest. Indeed, the tropes offered by numerous pundits such as advocating a "living wage" or "decreased regulation" are not addressing the fundamental question that we need to ask: If humans are being replaced with technology, what are humans supposed to do? For decades, we have directly associated an individual's economic worth with their employment. We assigned value based on their job in society. But as jobs become increasingly scarce at all levels, what has an individual's economic worth become? The most urgent 21st century question is how does human civilization manage the transition between where every individual has a job to one where individuals will need to find a useful purpose beyond economic employment. Turning individuals into soulless "pseudo-machines" isn't the answer. We are seeing the repercussions of the "pseudo-machine" scenario with increasing civil unrest and social disorder. Not only does it defeat the brilliant potential of humanity, but it also leads us down a path of instability that may take decades if not centuries from which to recover.